More than 250 people took part at the “OMET Hybrid Experience” Open house dedicated to the opportunities of hybrid printing technology in the label industry. 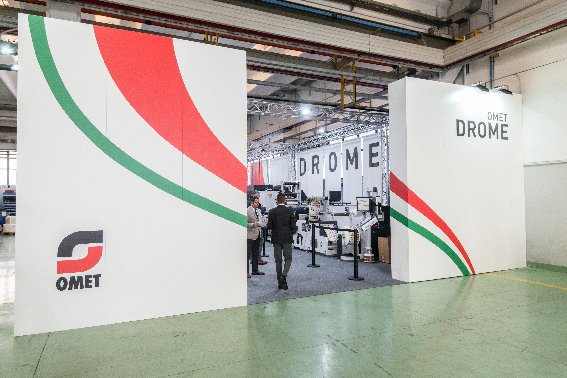 Held on January 24th and 25th 2019 at the new OMET DROME, the event was enriched by technical presentations, live demos and visits to the OMET production sites. A lovely gala dinner at the beautiful lake-view location attracted a great number of participants. 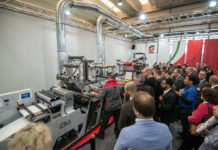 Great success for the live demos of the OMET XJet powered by Durst, which proved its exceptional performance in terms of technology, flexibility, productivity and infinite customization possibilities. 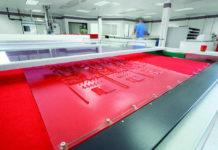 Another start of the event was the OMET iFlex, presented with hybrid curing configuration: UV and LED printing simultaneously. 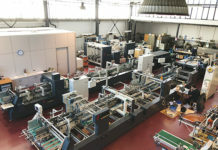 Two machines running amazing production jobs, appreciated for their real complexities, and of course for the printed quality results. 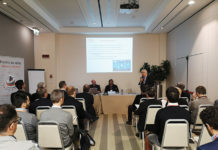 Few highly technical presentations were dedicated to the future of label printing. 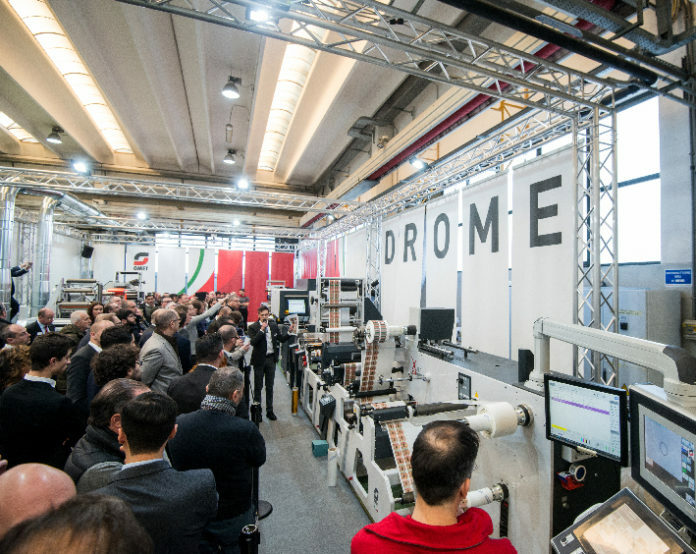 Paolo Grasso (OMET Head of Sales – Labels Business Unit) spoke about the advantages of digital + flexo hybrid printing technology proposed by OMET in collaboration with Durst, and those offered by flexo UV-LED printing shown on iFlex at the event. 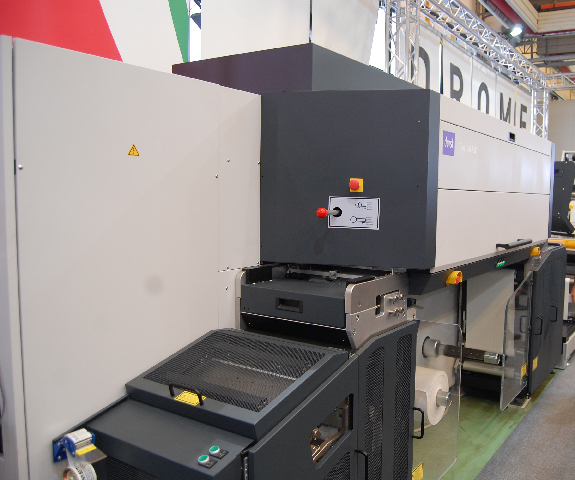 Sergio Veneziani (Ritrama) introduced the partnership between OMET and Ritrama for a new laminating module to produce linerless labels: an innovative clear-on-clear PS label engineered to be transformed into a laminated but Linerless construction, ready to be dispensed. 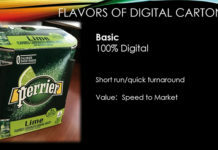 This innovation will allows significant improvements in terms of efficiency and sustainability for the printing industry and brand owners. 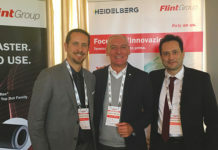 Martin Leitner (Durst) explained the potential and opportunities of digital: for a printer, moving towards digital inkjet or hybrid technology is not just a matter of buying a new machine, but the beginning of a transformation in the business model itself. 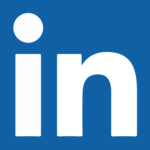 Durst and OMET offer a solid base of skills essential for this evolutions. Francesco Niorettini (Italgrafica Sistemi) spoke about his personal case history, being the first Italian XJet user. “Our challenge is to go for bigger volumes through hybrid-digital: OMET XJet is the solution that made me possible to break through old barriers of very low figures. 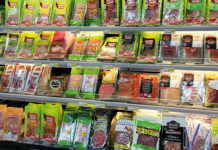 Being able to combine the best of OMET’s and Durst’s worlds, made my investment in innovation a game-changer that allows Italgrafica raising the bar in the industry”. 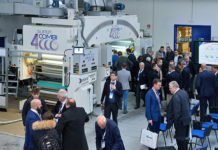 OMET success for this open house is to be shared with the main 15 sponsors who actively participated to the event: Apex, Asahi, Avery Dennison, Control Technique (Nidec Group), Erhardt + Leimer, GEW, Kurz, Italfinance, NuMaber, Ritrama, Rossini, Rotometrics. Swedev, Tesa, Vetaphone and Zeller + Gmelin.